Although most men haven’t been dreaming up their wedding day since they were five years old, might not know what an Arbor is or have any idea how to pin his boutonniere on correctly, your groom still wants to be involved. It is their special day too. They want the planning to be as easy as possible for their bride. They want to help but may not even know where to begin! 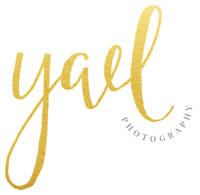 Here are the Yael’s top 10 ways your groom can assist and contribute to make things a whole lot better for you! He is going to know his side of the party way better than you! It is up to him to figure out his side (and parents side) of the guest list, find the addresses, follow up and make sure he knows who wants chicken or salmon! This one is something he can totally do and it will make you the happiest of brides! Give him the responsibility of reserving the rooms for the out of town guests and making sure they have all the details. Even if your venue has rooms as part of the package, some guest might need different price points. Your future-hubby will totally be able to handle these logistics! The music you request for your wedding can really set the tone. The process can be long, overwhelming and very time consuming. Giving your groom this task will make him feel like the king of the party! When he sees his friends and family having a great time on the dance floor, he will feel amazing! But between you and me, I would write down your favs too! Wedding planning can make things a little tense and uncomfortable with your future-in-laws. To navigate through all the chaos as smoothly as possible, make sure he is the one communicating with his family. He knows how to best talk to his parents, so let him handle it! Boys will be boys which means one thing, let him pick the gifts for his friends. They have inside jokes and interests that you and no one else will ever understand so let him take this one for the team. Just smile and nod with whatever great idea he comes up with! No matter what you do, let him be in control of what he says, how he shares and what he promises to you on your wedding day. This is for both of you! You will thank me! No matter when the honeymoon is, right after your wedding, six months into your marriage or even a few years down the road, let your man plan the details! He will have such a great time imagining you laying on the beach in Mexico or hiking up the mountains in Colorado, it will make him feel like a hero! Make sure he knows to up the cheese-factor! With your busy schedules, everyones opinions and advice about your marriage and the insane amount of decisions you two will have to make during this season of your life, make sure he knows to say “I love you” in every way he can. On post-it notes, grocery lists, even on a top of a cake or using those HUGE letter balloons. Keep the love alive and strong! If you are anything like me, you stress and over-analyze everything! Let your fiance know that you are going to need his help making this engagement as fun and as easy as possible. You are a team, you are going to need him to help you blow off steam by practicing your first dance in your kitchen or by turning center-piece decorating into a drinking game. He will know exactly how to calm you down and make things fun again! There you have it ladies, the ultimate guide to making both of you happy! Now go on, hand over some of the responsibility to your eager and amazing fiance! You both will be so happy and so excited to be able to contribute to your big day in a big way!